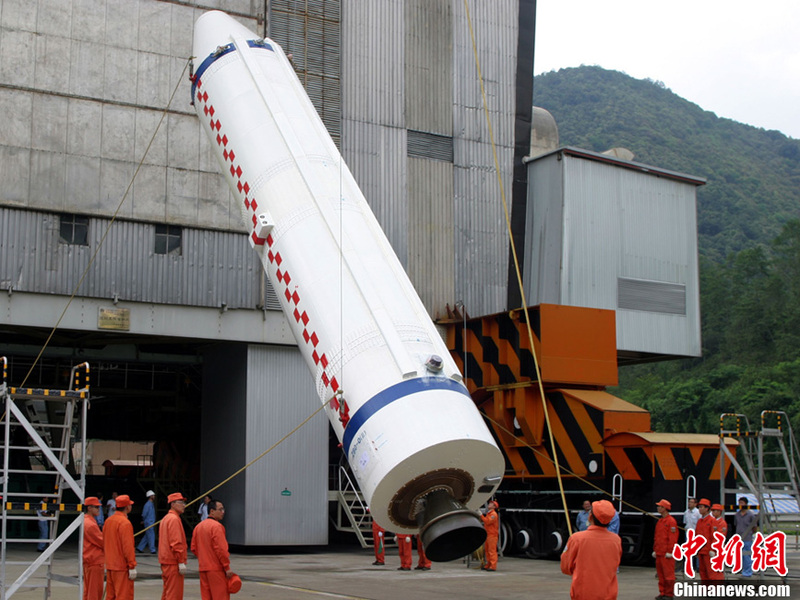 The Long March 3C/E is an improved version of the Long March 3C using stretched boosters and a larger first stage. 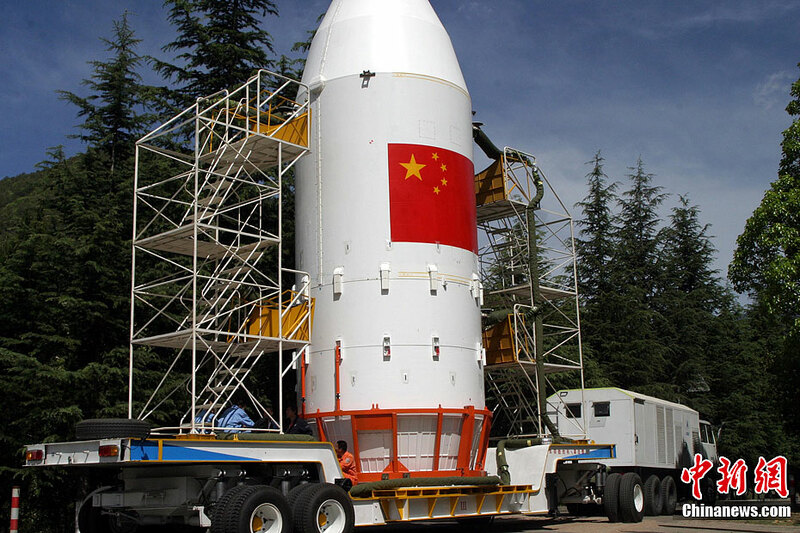 The Long March 3C was derived from the Long March 3B to bridge a gap in payload capability between the 3A and 3B launcher. 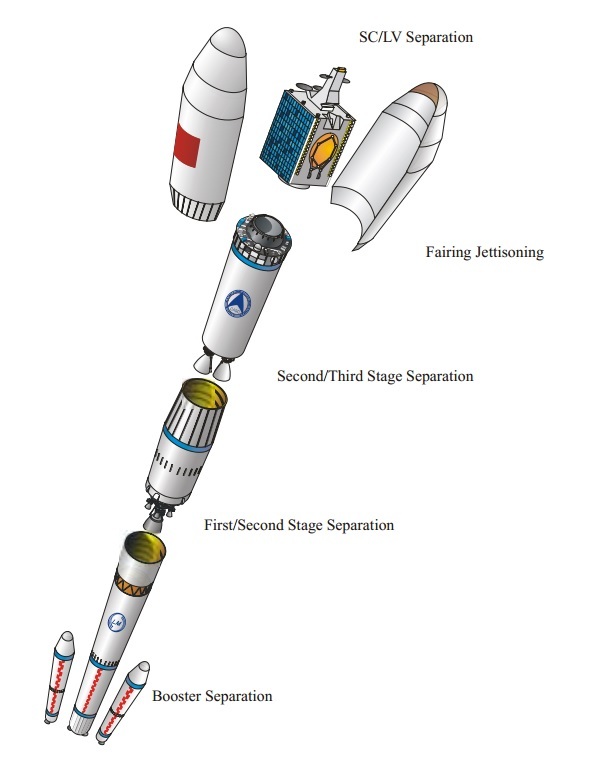 In essence, Long March 3A consists of a three-stage stack with no boosters, while the heavier Long March 3B sports four liquid-fueled boosters. 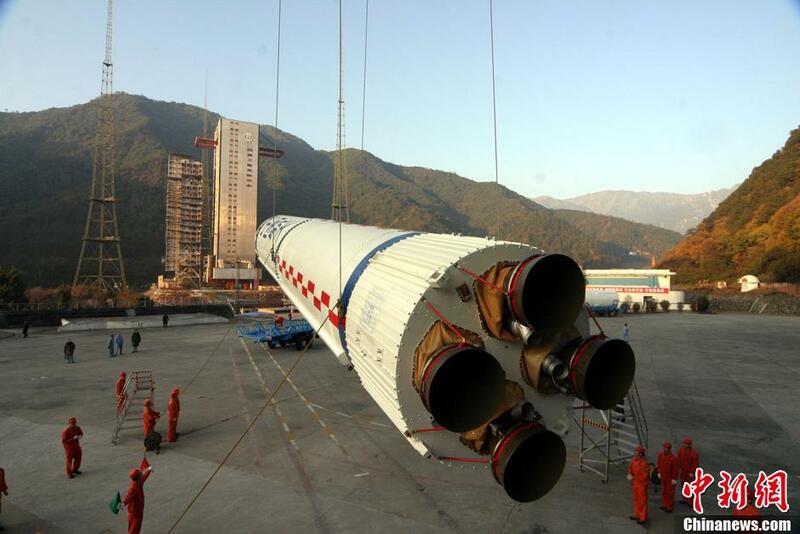 Long March 3C with its two boosters fills the gap between the two. 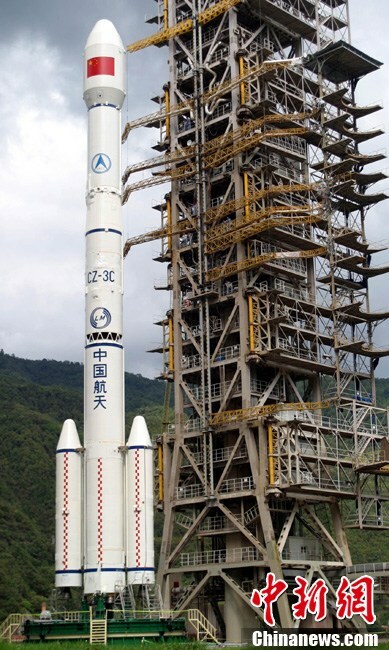 Long March 3C made its first launch on April 25, 2008, delivering the Tianlian-1 communications satellite to orbit. 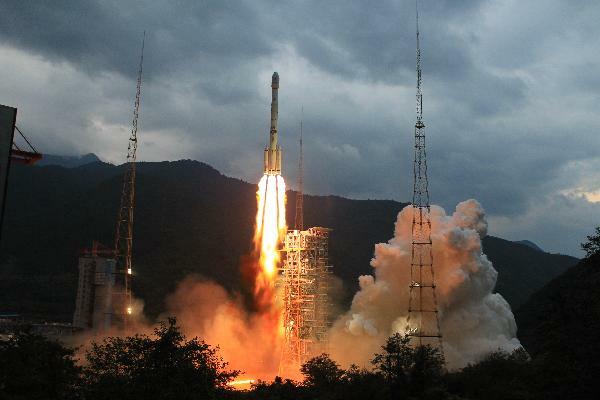 The enhanced version, CZ-3C/E is making its first flight in 2014 lofting the Chang’e 5-T1 spacecraft into a circumlunar trajectory. 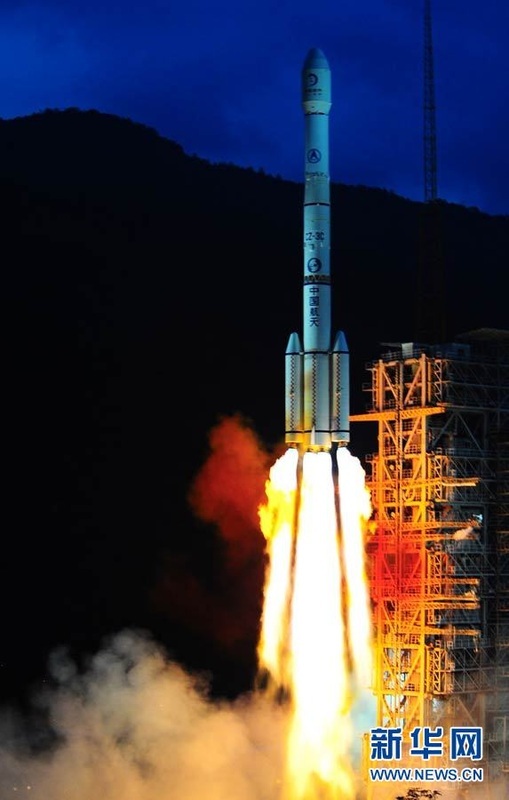 Long March 3C/E stands 56.33 meters tall and has a main diameter of 3.35 meters with a total liftoff mass of 367,500 Kilograms. 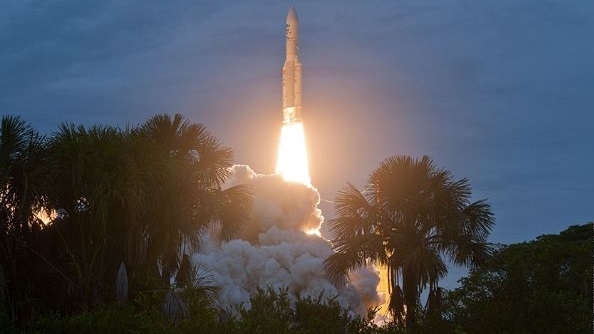 The vehicle is a three-stage launcher that has two liquid-fueled boosters clustered around its first stage. 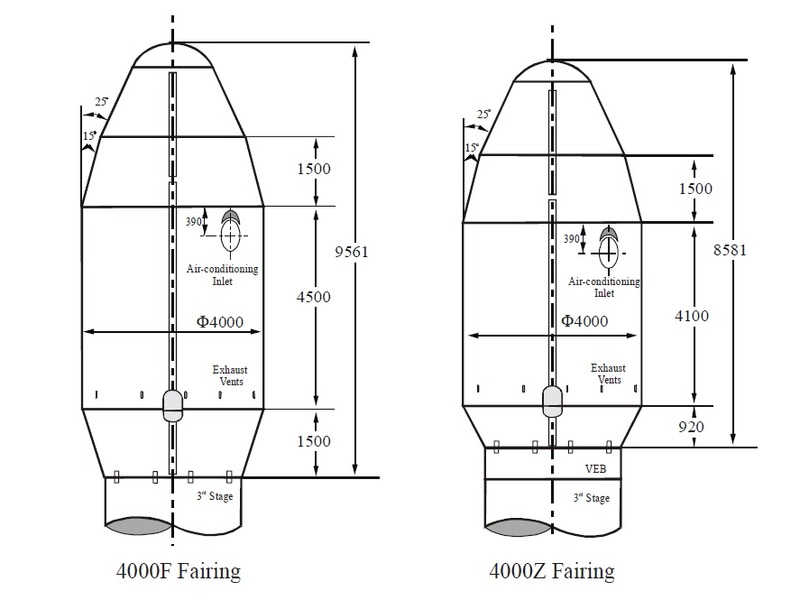 Essentially, CZ-3C/E is completely identical to Long March 3B/E, subtracting two of its boosters. CZ-3C/E can deliver payload of over 4,000 Kilograms into Geostationary Transfer Orbit and >3,000kg into a heliocentric orbit. 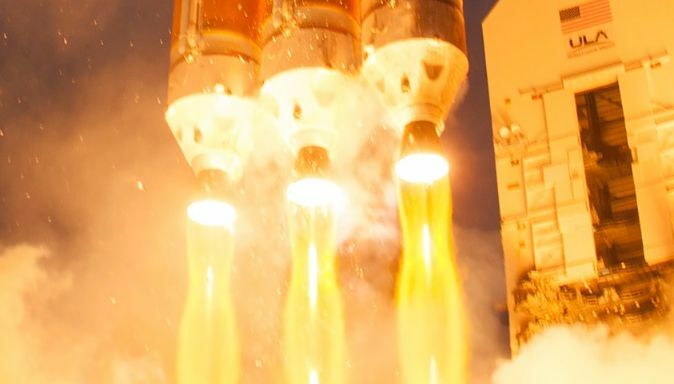 Long March 3C/E uses two liquid-fueled boosters that are attached to the first stage to provide extra thrust during the initial portion of the flight. 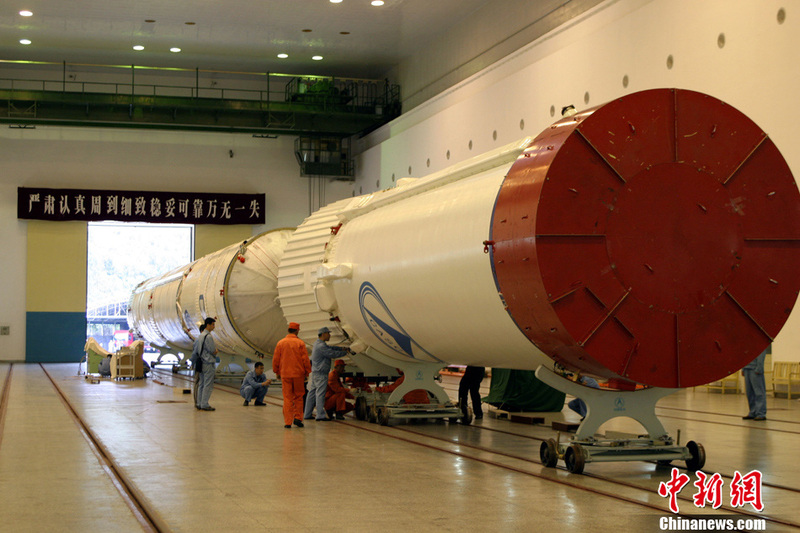 With the boosters attached to the first stage, the Long March 3C/E has a span of nearly 8 meters. 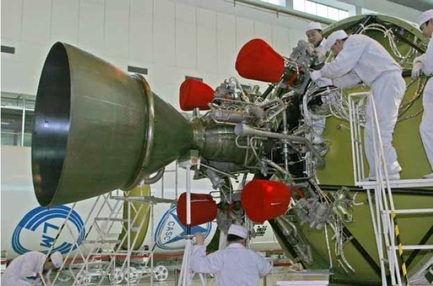 The large first stage of the Long March 3C/E is 24.76 meters long and 3.35 meters in diameter, also following the basic design with the oxidizer tank located above the fuel tank. The tanks use individual bulkheads which create a small inter-tank area that is used to facilitate equipment. 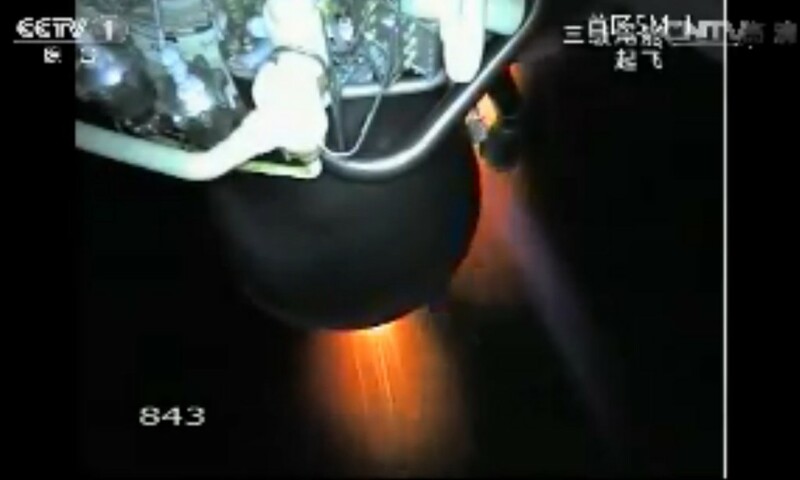 The NTO line is again routed through the fuel tank to reach the engines. 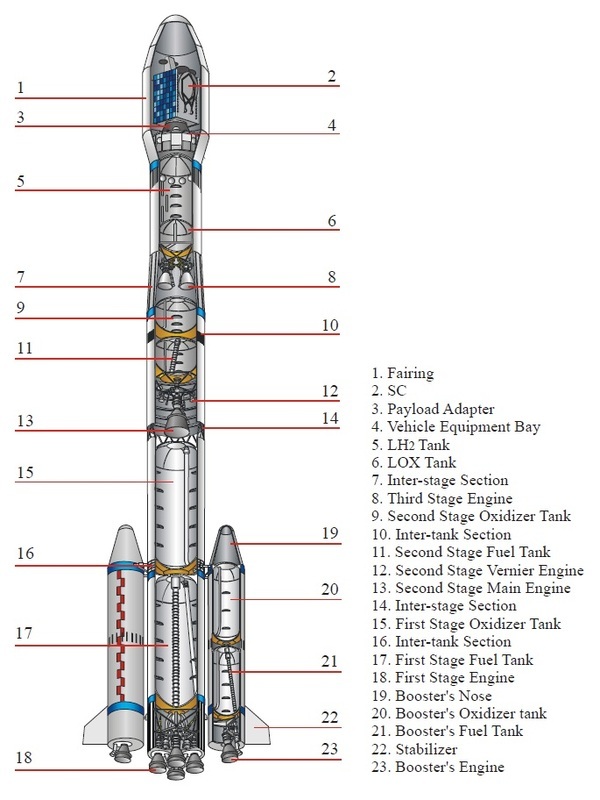 The core stage has an inert mass of over 12,500 Kilograms and carries a propellant load of 186,200 Kilograms, also using NTO and UDMH.